The online merchants are leading the charge with making new innovations every day to champion their customers’ engagement and in-app experience. The payment processors need to keep up with the constantly changing ecosystem in complementing and supporting these innovations. The payment process needs to be as intuitive and seamless as possible so it does not break the shopping flow or change the state of shopping. The requisite tasks such as registration and payment selection need to be blazing fast so the shoppers could checkout as soon as possible. The User Interface and Experience (UI/UX) across devices should follow similar design guidelines so the shoppers get the optimum experience they are accustomed to. Newgen uses a non-deterministic mathematical model to rank all the applicable acquirers for the given transaction using a slew of information including platform health and performance, historic track record, etc. The portal enables merchants to configure payment routing rules based on multiple parameters including currency, country, Credit Card BINs, etc. The transaction flow and volume can also be capped within a given time period per acquirer. Newgen’s Customer Identity Graph is also building a cohesive interconnected graph of customer accounts, details and devices. Analogous to a graph database, Newgen’s Identity Graph implements Graph Theory with the aim of consolidating customer behavior across various channels, devices and touchpoints. The company offers three-tiered security layers to protect against any unwanted activity or usage to make sure only completely legitimate calls go through. 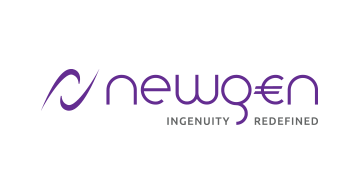 Newgen offers BoostSales, a unique, fully-managed service that empowers E-Commerce merchants to optimize their webstores and brand to dramatically boost conversions & online sales – at a much lower cost and time investment.